If you want to celebrate St. Patrick's Day with some fun and healthy snacks, here are a few ideas to get the wheels turning. 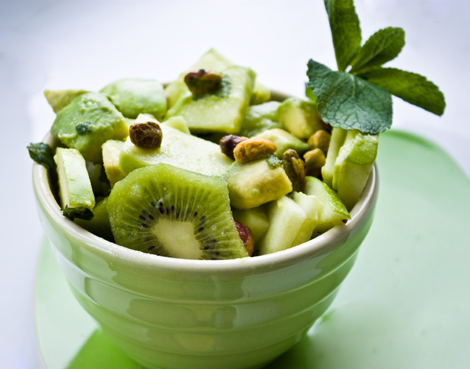 Babble has a recipe for a Mint-Lime Avocado Spring Green Fruit Salad. If it is green and delicious it is in this salad. Everything from Kiwi and Avocado to Mint and Pistachios. 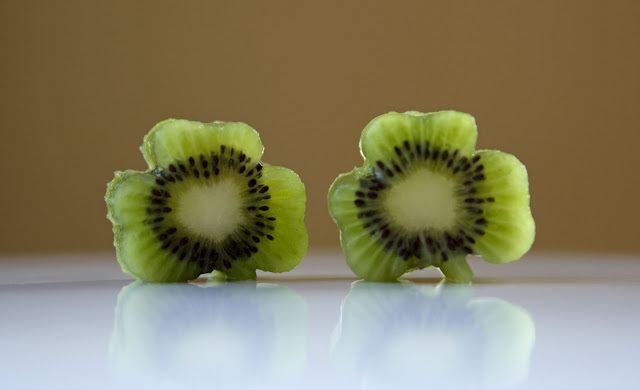 If you just want your Kiwi to stand along, you can turn them into kiwi shamrocks like Life Is Wonderful. 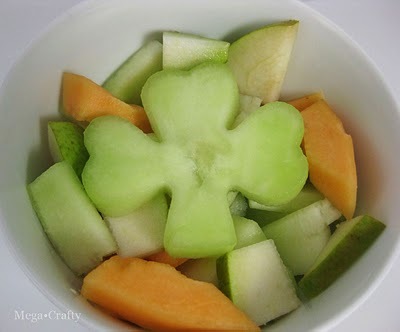 And if Kiwi isn't your favorite fruit, Mega Crafty has some fun ways to use melon to make a shamrock fruit salad. Rockabye Butterfly served up a ton of green fruits and veggies in this fun St. Patrick's Day muffin tin lunch. 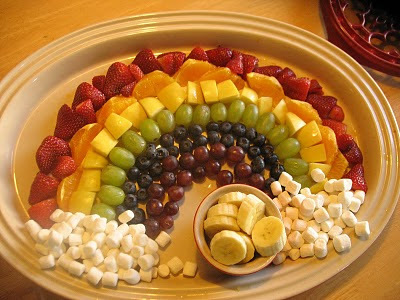 And this colorful fruit rainbow that Sarah made, complete with a pot of gold at the end, is a perfect snack for the whole family to share. With all of the green options, St. Patrick's Day might be the easiest holiday to come up with a healthy snack for! Super cute and healthy! Fabulous! I found a great healthy cook book too. Thought I would share!